Taptilo includes various pre-made lesson plans and teaching resources, as well as self-guided activities. Simply select or type a word in the app, and Taptilo will do the translation for you. With Taptilo, you do not have to know braille to teach it. 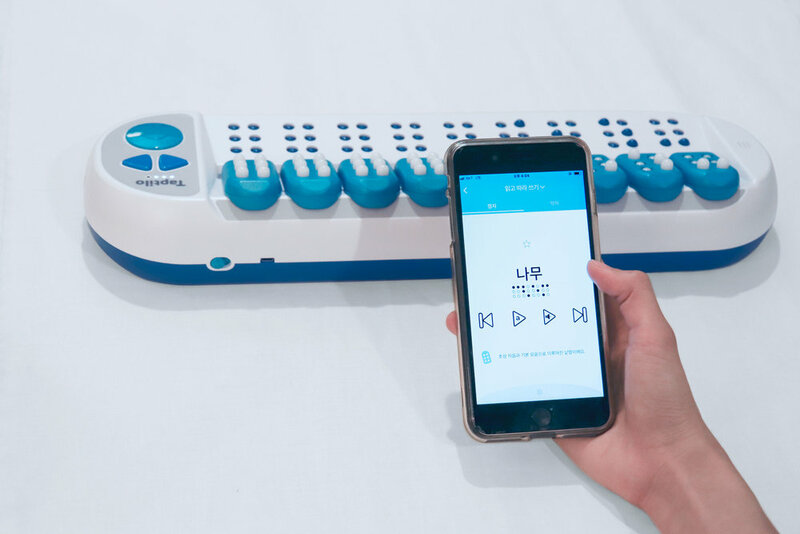 With tons of interactive and personalization features, Taptilo can effectively lower the barrier to early braille education and create a friendly and collaborative environment for learning. Taptilo is suitable for use in the classroom as well as for itinerant teachers. With its easy to carry, portable design and complimentary carrying pouch, power-saving features, rechargeable battery, easy app connection. With the new WiFi feature, enjoy access to the online library of content, wherever you are connected! Easily download and install new games and upgrades using the free app. Keep device up-to-date by installing software updates.